Jane's been there. She's done it. & she's ready to help you communicate. "In three decades as a broadcast journalist, I have interviewed thousands of people including the world's most famous celebrities, American presidents and those of other nations, numerous government officials, CEOs, publishers, notorious criminals, renowned doctors, lawyers, authors, sports figures, and regular people caught up in the business of life. I've also emceed events, been a key note speaker and moderated dozens of panels. All of this has given me insight into what works and what doesn't in any situation. That is what I translate to you in helping you be concise, clear, and confident every time you communicate." 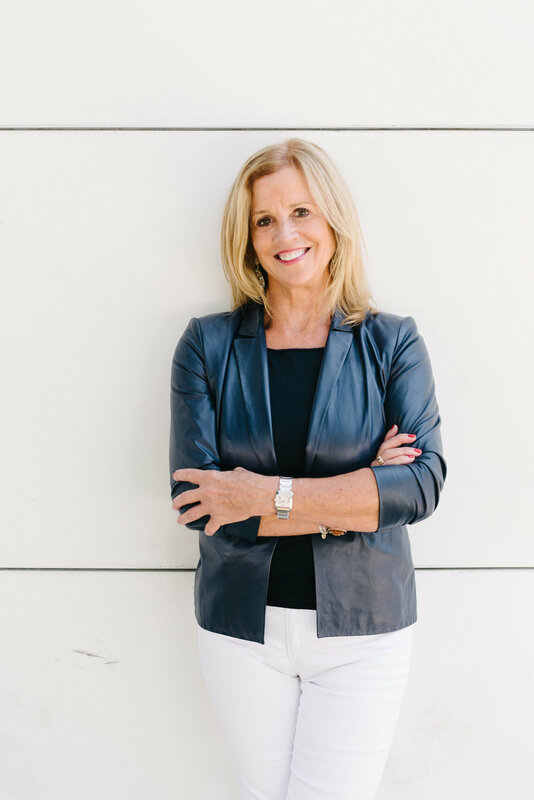 Emmy award winning television journalist and coach Jane Hanson has spent over 30 years helping people learn to communicate better. Not only does it enhance their presence, and ensure they resonate with every type of audience, but In today’s fast paced world, it is imperative to be on one’s game 24/7. Hanson focuses on three core elements: what you say, how you say it, and how your body language keeps it all in sync. Among her diverse array of media and presentation training clients: top tier leaders of corporations spanning the fields of finance, insurance, startups, technology, education, fashion and media; publishers and editors in chief of numerous national magazines; key opinion leaders in the pharmaceutical industry; politicians and world leaders, internet entrepreneurs; chefs and restaurateurs. She has also hosted programs on cable channels and private satellite broadcasts, covering nearly every subject, from healthcare to food to finance to religion. And she is a frequent speaker, emcee, host, and panel moderator. Events she has participated in range from the New York Emmys to Toys for Tots to the Race for the Cure to the Randall’s island Sports Foundation. She has hosted events for virtually every industry, many health care issues, dozens of schools and colleges, and many groups focusing on women and children. Jane Hanson grew up on the prairies of rural Minnesota, coming to New York three decades ago to join the NBC networks. She began as an anchor and correspondent for NBC New York in 1979. In 1988, Jane was named co-anchor of “Today in New York,” a position she held until 2003 when she became the station’s primary anchor for local programming and the host of “Jane’s New York”; She covered events ranging from the tragedy of 9/11 to the joy of Yankees victory parades to Wall Street and Washington; has interviewed presidents, business magnates, prisoners, and celebrities; traveled as far as the Gobi Desert of Mongolia and the great depths miles below New York City for her special reports. Most recently she hosted a daily entertainment and lifestyle program, New York Live, for NBC4 in New York City. Jane has won 9 Emmy Awards. In addition, she was named Correspondent of the Year by New York’s Police Detectives and received a similar honor from New York’s Firefighters. She has also been the recipient of numerous other awards for her service to the community. Jane has served as the March of Dimes Walk-America Chairman, honorary chair for the Susan B. Komen Foundation’s Race for the Cure, and as a board member of Graham Windham, Phipps Houses, the Randall’s Island Sports Foundation, the Westhampton Beach Performing Arts Center, and Telecare. She has taught courses on communication at Long Island University, Stern College, and the 92nd Street Y. Hanson is a Past President of the New York Chapter of the National Academy of Television Arts and Sciences. As Jane likes to say, "failing to prepare is preparing to fail." Get in touch to start working on your communication.